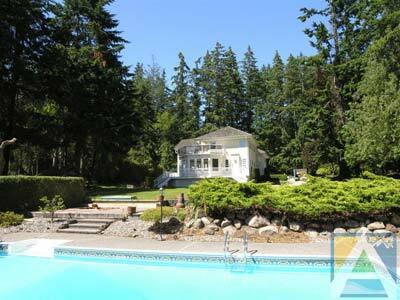 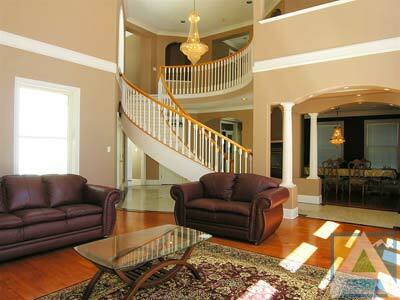 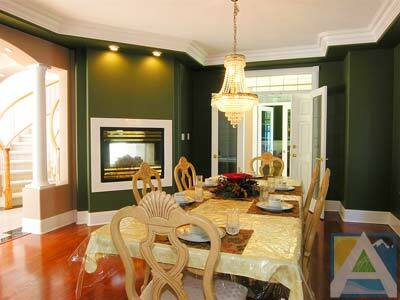 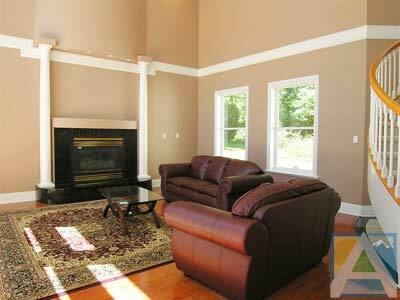 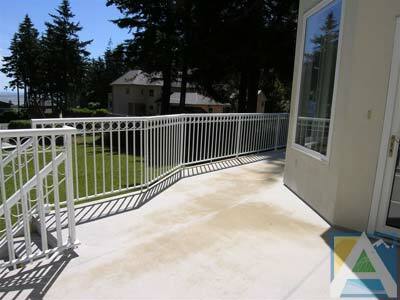 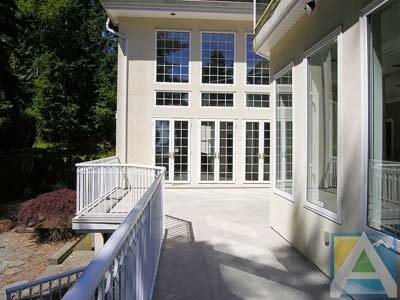 Colebrook Retreat is an 8000 sq ft luxury home on two acres in the Colebrook area of South Surrey. 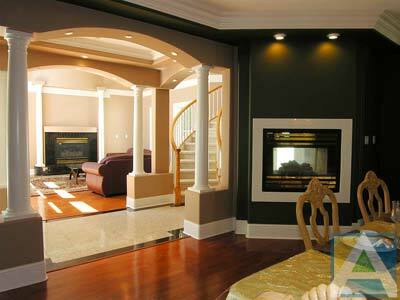 This neighbourhood is well known for the grand and majestic homes traditionally built here. 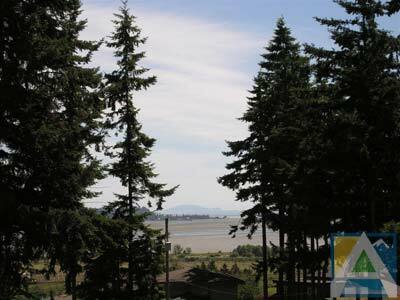 This location allows for easy access to Highway 99, the BC Ferries Tsawwassen Ferry Terminal, Vancouver Intentional Airport and the City of Vancouver. 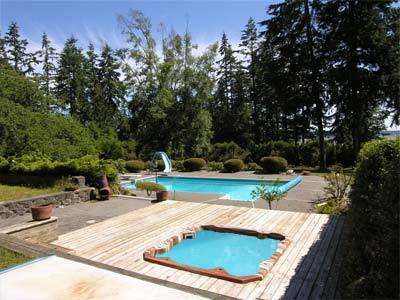 Thanks to the property setting, the home is suitable for family reunions, weddings and for those wanting peace and quiet in a semi-secluded area while being very close to everything in the lower Mainland. 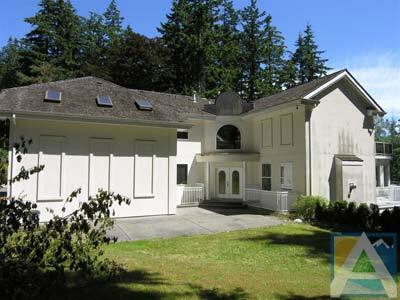 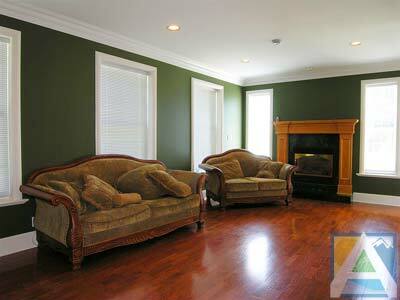 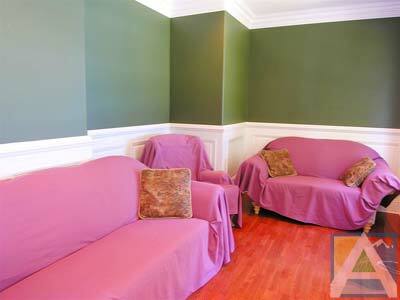 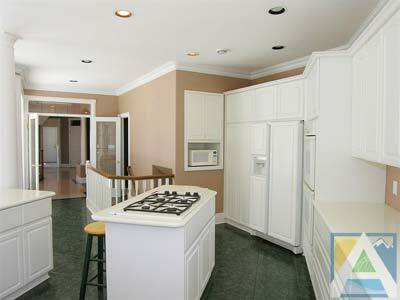 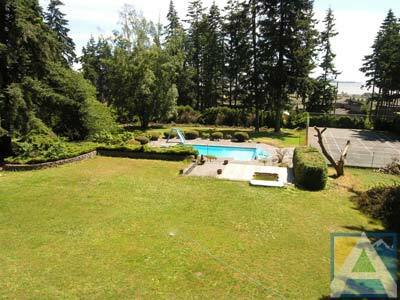 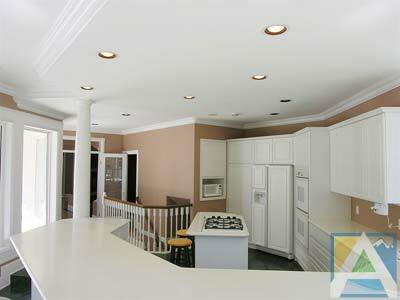 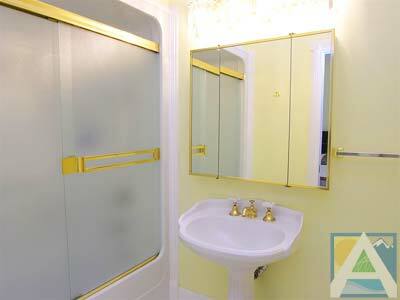 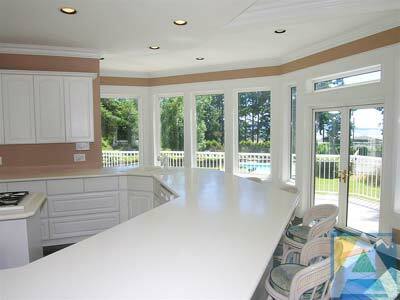 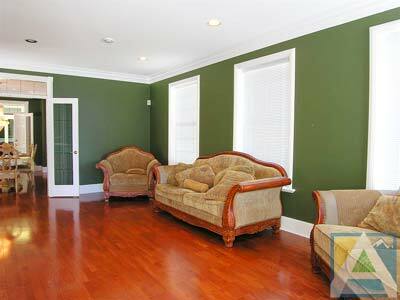 The home itself is located in a quiet nook on of a 2 acre property and is surrounded by majestic old growth Fir trees. 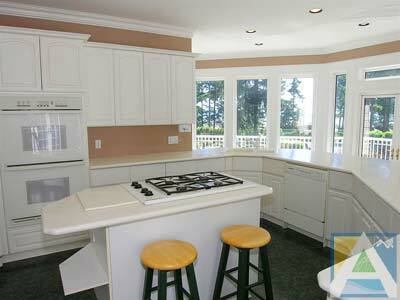 The kitchen is equipped with large granite counter tops, a gas range, double ovens, ample cabinet space and french doors to the deck where you can enjoy your meals and the excellent views of the surrounding area and ocean.The full dining room features a gas fireplace to create the mood while you enjoy your culinary masterpiece. 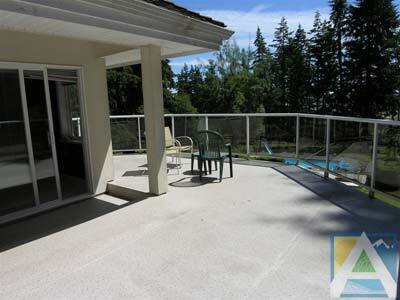 The adjacent living room has 18 ft ceilings, a lovely fireplace, floor to ceiling windows with views to the ocean and french door opening to the large outdoor deck. 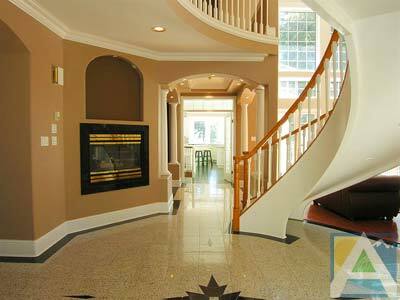 Ascend the spiraling staircase to find yourself on the sleeping level. 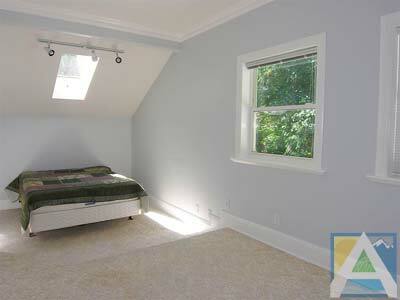 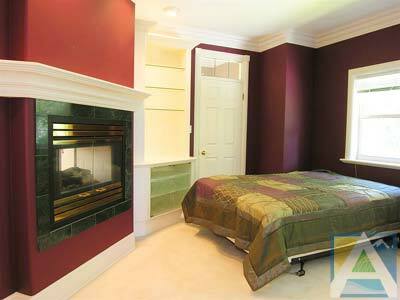 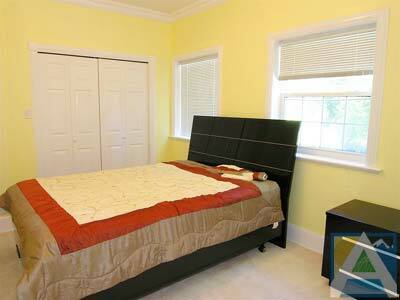 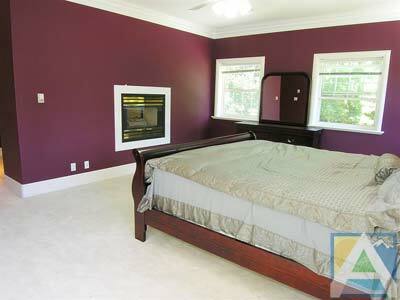 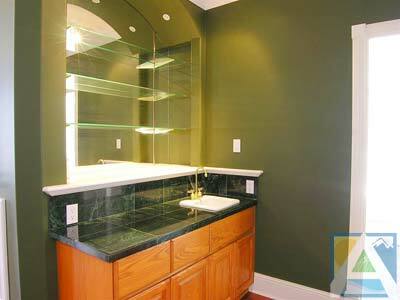 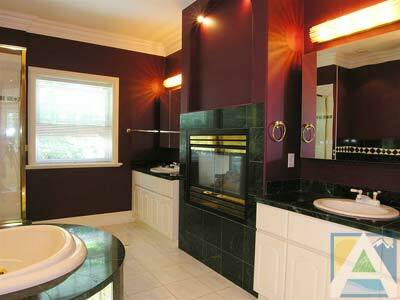 The spacious master bedroom has a fireplace and a jetted tub. 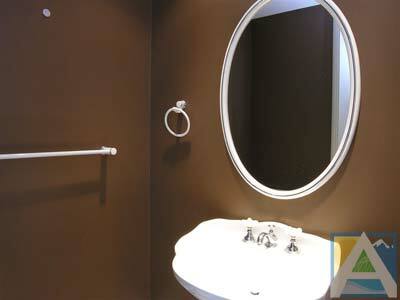 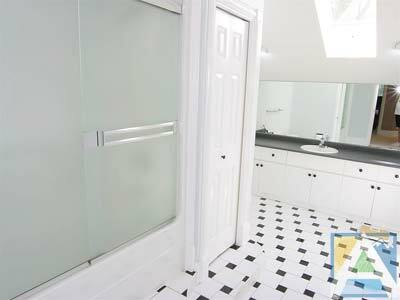 There are two additional bathrooms on the third floor the fourth and fifth bedrooms each have an adjoining door to the third bathroom. 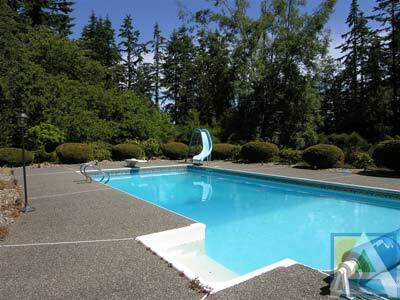 On the property you will find a large pool and in ground hot tub.